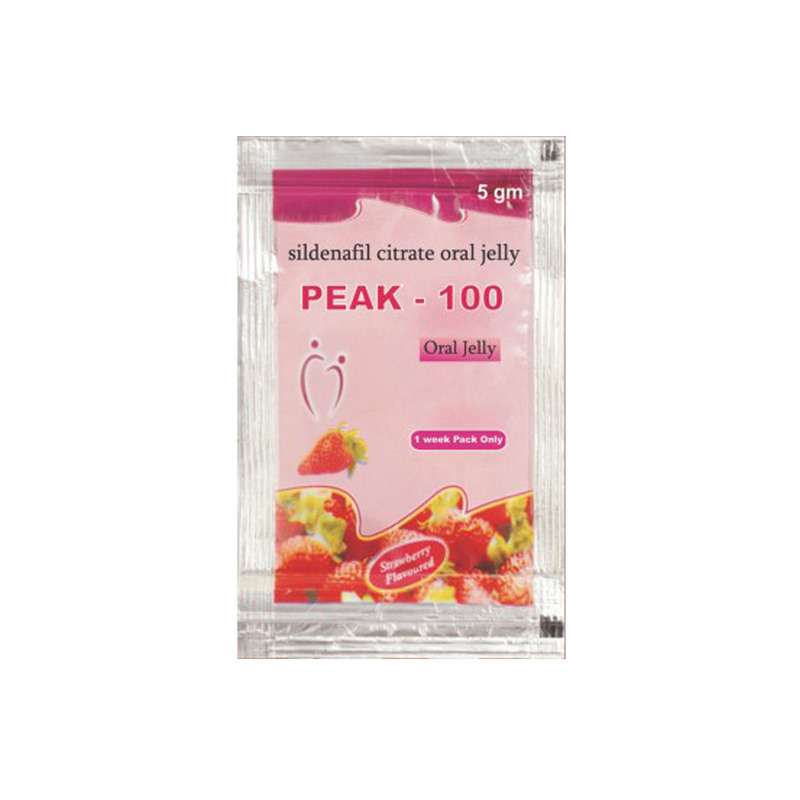 Peak 100 – Sildenafil Citrate oral jelly is used for treatment of impotence [erectile dysfunction] in men and to provide sexual satisfaction. Sachet of 5gm & Such 25 sachets repacked in multicolor laminated box. You will enjoy a great experience of your personal relations & get ready to Be delighted.